Create your homemade Christmas tree craft ornaments. 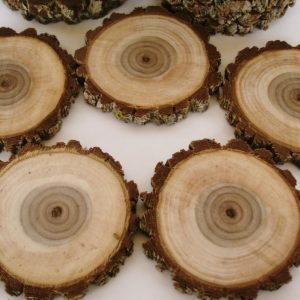 Each tree cookie is 2 1/2″ – 3″ in diameter and ready to be painted or decorated with glitter, sequins, photos just use your imagination. Tree cookies can be painted or decorated on both sides. 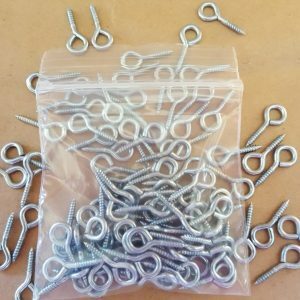 Great for school or camp projects. 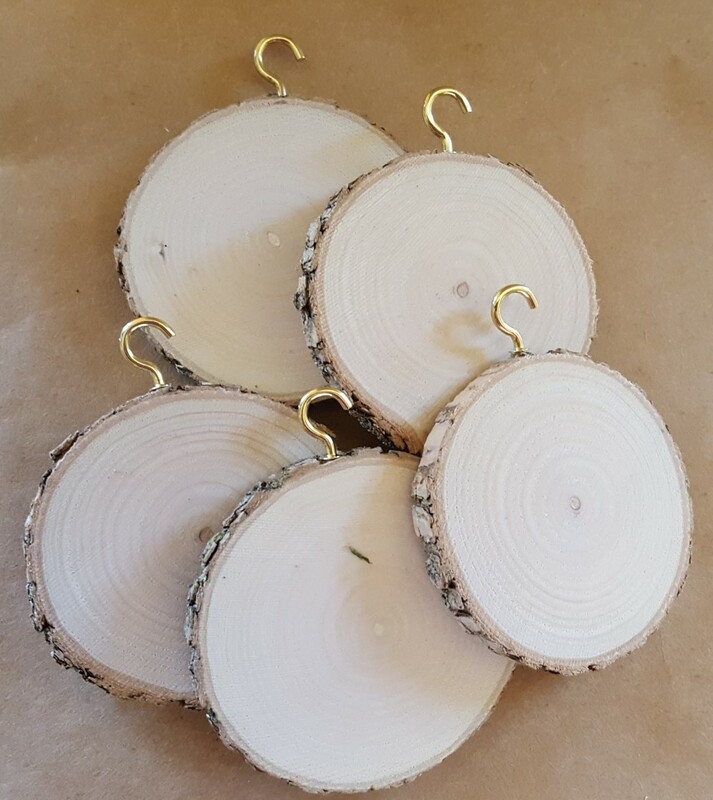 Makes a great tree ornament to mark a special person, wedding date or special event. A 1/2″ hanging hook is attached. Pack of 5 with hook. 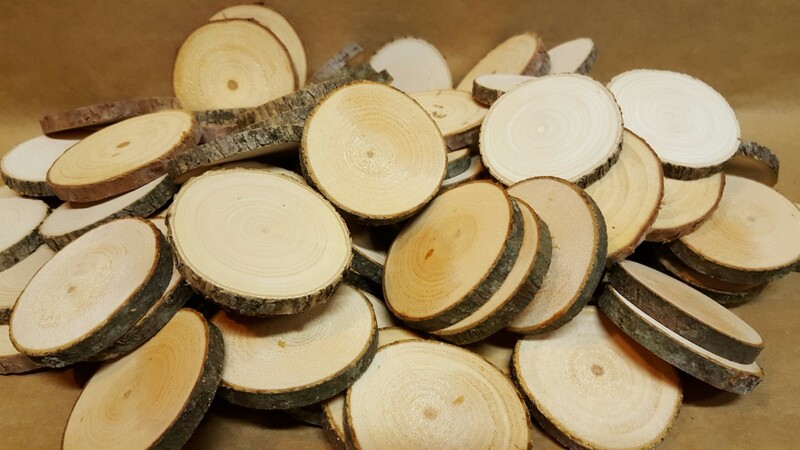 Tree rounds are dried to 8-10% moisture to prevent cracking. 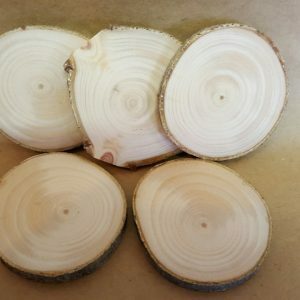 For larger group projects, check out the bulk packs of tree rounds. 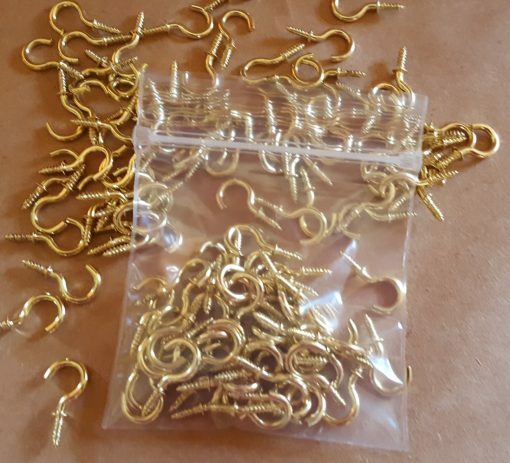 Hanging hooks are also sold in bulk.